← MetroSonic Opens Live Recording Room! 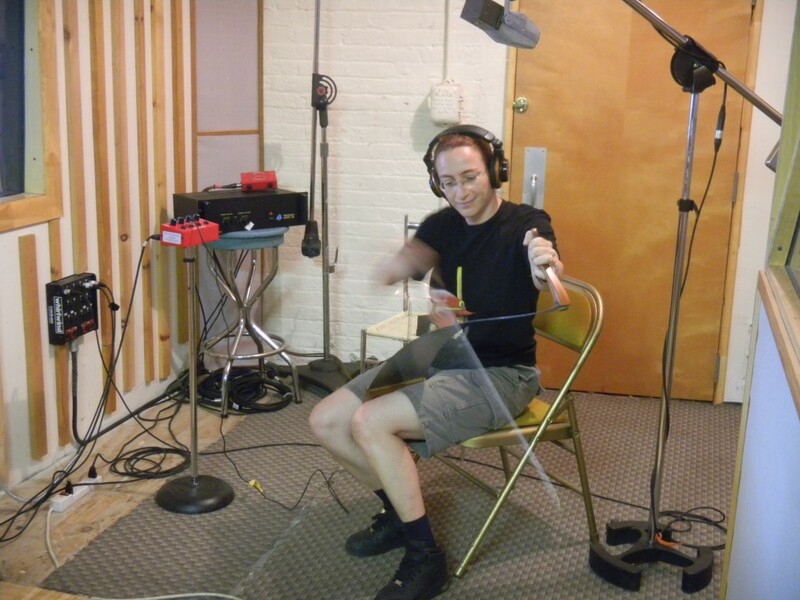 We recently had a truly unique artist come in to record here at Metrosonic. 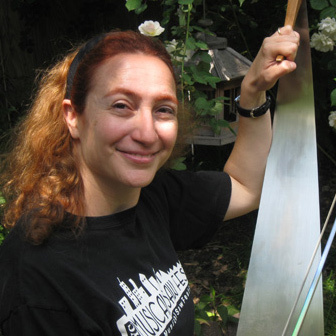 Natalia “Saw Lady” Paruz is a renowned artist known worldwide for her rare ability to elicit music from an everyday carpenter’s saw. Some of Paruz’s past experiences include working with artists such as John Hiatt and Sarah McLachlan. The sounds of a saw are warbling and ethereal, somewhat similar to a falsetto voice. Paruz plays with careful precision and delicacy, gliding a cello bow across the flat end of the saw while strategically bending it in order to manipulate the pitch. This creates a sound different from most other instruments. Paruz was in the studio recording a short track for an upcoming documentary on environmental awareness, which is expected to be released sometime next year. With Pete and Terry handling the engineering and Paruz sawing away in the live room, it was certainly an interesting session! Posted in Ambient, Artists, Natalia "The Saw Lady" Paruz, World Music.